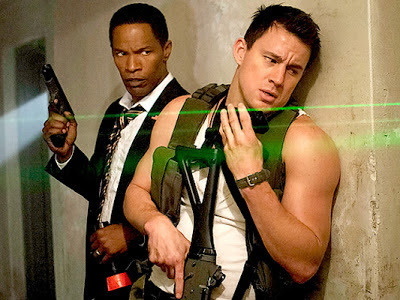 Hollywood “it” boy Channing Tatum and Obama doppleganger (at least here) Jamie Foxx team up to save the White House, then America, then the world from terrorists in White House Down, the latest explosive love letter to the United States from German director Roland Emmerich (Independence Day, The Patriot). Is it big, dumb fun or just big and dumb? Is it appropriate for your older kids and teens? Read on, and make sure to check out my other recent reviews of World War Z, Monsters University, and Man of Steel. It would be really easy to tear White House Down apart. For starters, the scenarios it poses are ludicrous, the computer effects are far from seamless, the characters are very broadly written, the story is mostly predictable, and it steals so blatantly from Die Hard that I could write an entire post about the similarities, right down to the nitty-gritty details. But director Roland Emmerich seems to know exactly what kind of film he's making here; the film is often confidently silly. 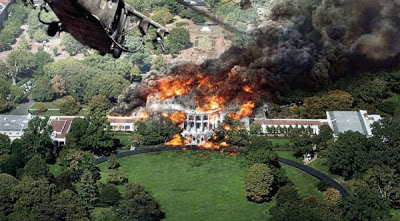 A lot of other dumb action movies take themselves too seriously, but White House Down is loaded with winking humor, which proves to be the film's saving grace. Channing Tatum (The Vow) stars as a rejected Secret Service applicant touring the White House with his daughter when terrorists take the building. 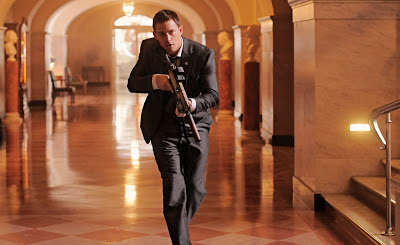 Of course, when the time comes he can outrun both machine gunfire and explosions while the actual Secret Service agents are way too slow out of the holster. Tatum has the biceps and the charisma to carry the film as an action lead; he's no Bruce Willis, but he'll do. Jamie Foxx, as the good-hearted President who discovers his own courage and sass, provides the standout performance here. He and Tatum have good buddy chemistry. Maggie Gyllenhaal (The Dark Knight) and James Woods (Hercules) do fine supporting work. Director Emmerich proves himself, once again, a master of destructive chaos onscreen. His particular talent of decimating national landmarks is on full display here (see also Independence Day, The Day After Tomorrow, and 2012). Although this is just mindless summer escapism, it's fast-paced, action-packed, and surprisingly funny. Those looking for non-demanding entertainment will enjoy themselves here. 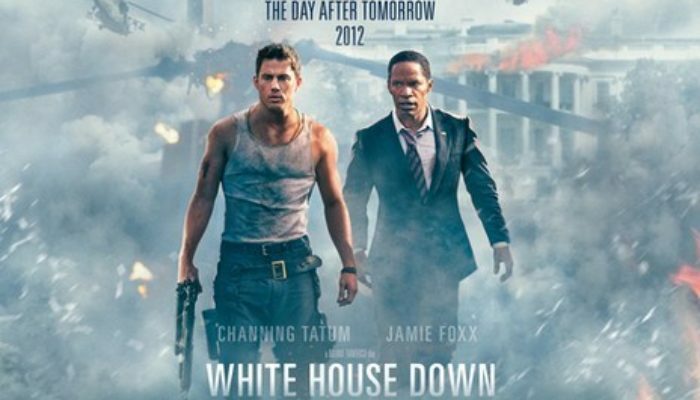 CONTENT OVERVIEW: White House Down is rated PG-13. There are a few moderate profanities sprinkled throughout and one f-word. 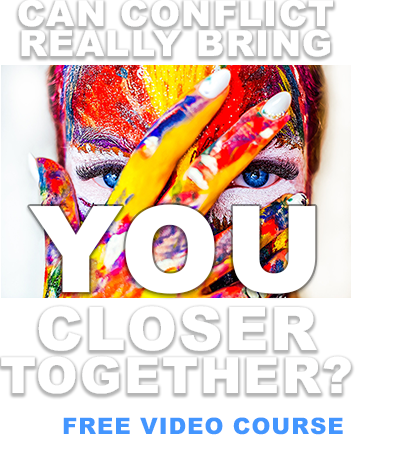 A couple is very briefly seen making love, from a distance and through infra-red lenses, so it's not particularly graphic. There is loads of action violence; fistfights aplenty and countless persons, good and bad, killed in crashes, explosions, by gun and by knife. MESSAGES TO DISCUSS: America is a choice land that will forever be free as long as we defend it from corruption and wickedness (Ether 2:12). True heroism is placing one's life on the line for liberty and family (Alma 43:45).